All compositions written, arranged and sound engineered by Chris Rossi, unless noted otherwise. Performances by other musicians are denoted below with symbols, as instrumentation was added to the arrangements on some tracks through high quality royalty-free audio loops recorded at pro studios. 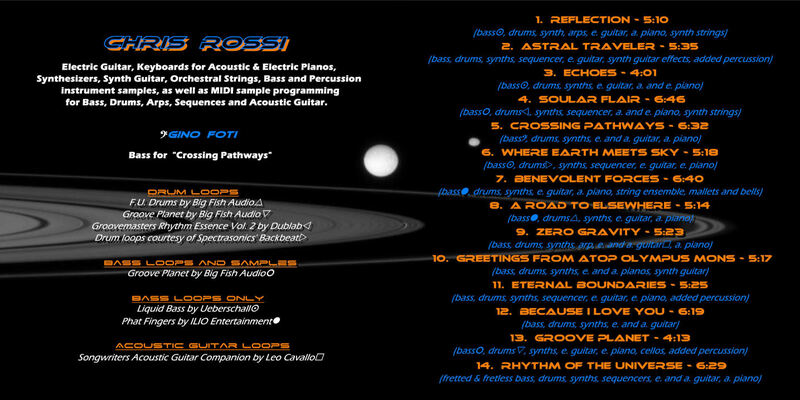 CD graphics and website design by Chris Rossi. © 2011 Christopher A. Rossi, All Rights Reserved.